IndiansinKuwait.com - Kuwait Wayanad Association (KWA) to aid Wayanad of Kerala on rebuilding homes damaged in the flood. 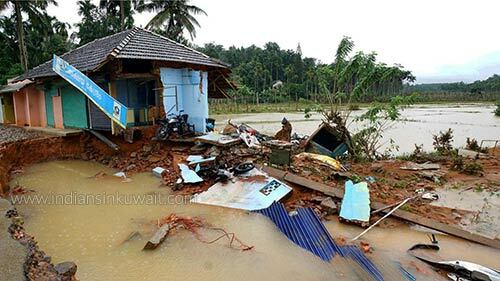 Kuwait Wayanad Association (KWA) to aid Wayanad of Kerala on rebuilding homes damaged in the flood. The Wayanad Association has decided to provide assistance to flood victims who are returning from camps to rebuilt their damaged homes and residences. All the celebrations from this year's including Onam celebrations have been cancelled by the association to support this meaningful cause. Whereas its members on vacation were supporting allover Kerala at the time of flood to safe guard lives. Association's Mr.Roy Mathew, Convener of Wayanad District, has been visited the flood effcted areas and will use the money to buy rehabilitation related items in the rural areas.. The office bearers will be given special consideration for their KWA family members in case found as victims of flood. The Wayanad Association of Kuwait has made remarkable interventions on social issues in the district Wayanad of Kerala, which has been able to spend about Rs 10 lakh on installing free dialysis machines at the Bathery MES Hospital last year and annual Vidya Kiran Scheme for the supporting financially backward 100 students.